Abstract: There are four +12V rails on the SS-650HT and each can deliver a maximum of 18Amps apiece with total power output of 455W. 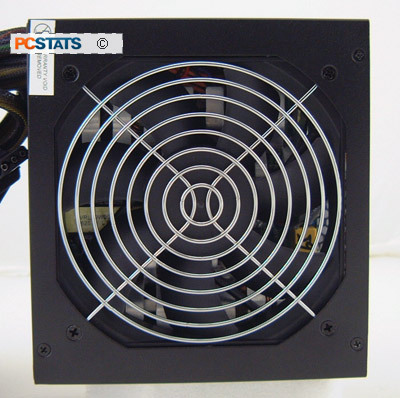 The Seasonic S12 Energy Plus SS-650HT 650W is jet black in colour and has a large 120mm intake fan which helps expel the air through the honey comb grill at the back of the power supply. The back of the power supply is rather plain, there is a huge honey comb grid which allows air to exit the power supply with the least amount of turbulence. On the right you will see the main power connector and hard power switch. Noticeably absent is the 115/230V switch but then again the Seasonic S12 Energy Plus SS-650HT 650W doesn't need one since it supports active power factor correction. Seasonic wraps the cables in woven black plastic mesh sleeves and heatsink to keep things tidy. The S12 Energy Plus SS-650HT 650W is equipped with six Serial ATA power connectors (split over two lines), two six pin 12V PCI Express videocard connectors, nine molex power connectors, a 4 pin ATX 12V connector and an eight pin ESP12V connector. Interestingly enough the S12 Energy Plus SS-650HT does not natively include floppy drive power connectors but Seasonic does bundle a molex to two power port floppy drive connector cable along with the unit. The main ATX power connector is 55cm long to the connector, and the other cables are ~60 cm to the first plug on the daisy-chain. The Molex to FDD power connector Y-splitter is shown above. Since floppies are going the way of AOL, it's not surprising that manufacturers are starting to include them as extras, much like SATA power cables used to be. 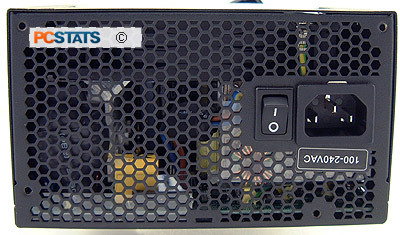 Next, PCSTATS will crack the Seasonic S12 Energy Plus SS-650HT 650W power supply open and take a look around inside. Pg 5. Improved Efficiency or Lip Service?